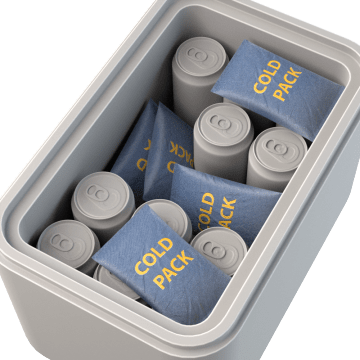 Keep items cold or frozen during transit with these packs designed to maintain the temperature of shipped items. Maintain a constant temperature inside a shipment for several days using these refrigerant gel packs. 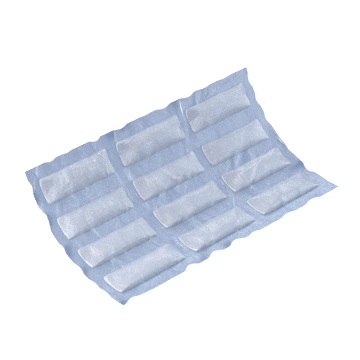 Keep food, pharmaceutical, lab products and other perishables at the proper temperature during transit with these rigid foam packs. They are filled with nontoxic refrigerants, and are designed to be leakproof. 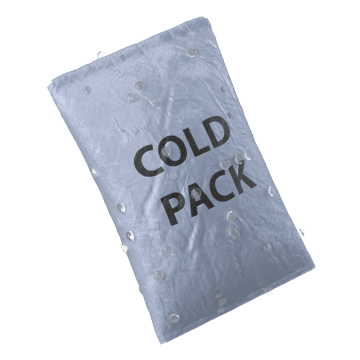 Protect against condensation buildup in packages during transit to hot or humid climates using these cold packs that have a protective film to keep moisture from escaping. Use these heavy-duty, biodegradable plastic pouches for an earth-friendly alternative to other shipping cold packs. These ice blankets remain flexible when frozen, unlike gel packs and dry ice, allowing them to wrap around perishable items for direct cooling. Cut the length required to wrap an item or fill a void and freeze overnight before using in a shipment.